The National Oceanic and Atmospheric Administration (NOAA) is predicting an "active or extremely active" 2013 hurricane season. The agency says there is a 70 per cent chance of having between 13 and 20 named storms, of which seven to eleven may become hurricanes and three to six may be major hurricanes (category 3 or higher). The average is 12 named storms, six hurricanes and three major hurricanes. At press time in mid-June, there had already been two named storms. The Atlantic hurricane season runs from June 1 to November 30. Attendees at the NEAR-Fest hamfest in New Hampshire in early May were asked to make donations to "One Fund Boston" to help victims of the Boston Marathon bombing in April. The $1000 in donations were matched by the NEAR-Fest organization, which added another $1500 on its own for a total donation of $3500. For more on ham radio's long-running role in the Boston Marathon, as well as the aftermath of the bombing, see July CQ's cover story as well as the "Public Service" column in the August edition. Coincidental to the Marathon bombing, a Massachusetts ham has asked the FCC to permit amateurs to encrypt certain sensitive information in emergency and emergency-preparedness communications. The ARRL Letter reports that the petition was filed by Don Rolph, AB1PH, of East Walpole, and requests the change to permit hams to transmit personal medical information without running afoul of privacy laws. The proceeding is RM-11699. Comment deadline was July 8. A second petition, by the Toledo Mobile Radio Association in Ohio, requests expanding 10-meter privileges for Technicians to include the repeater subband at 29.52-29.7 MHz. At press time, the FCC has not taken any action on this request. See the "Zero Bias" editorial in the August issue of CQ for a discussion of this petition. The still-anonymous new owners of Heathkit have posted a Frequently Asked Questions (FAQ) page on the heathkit.com website <http://www.heathkit.com/heathkit-faq.html>. They say they definitely plan to bring totally new kits to market, and "likely" revivals of older kits as well. About themselves, they will only say that they are all kit-builders and ham radio operators, and feel that revealing their identities at this time will distract them from the task of getting the company off the ground. The August issue of CQ will carry an article by Editor Rich Moseson, W2VU, on what is and isn't known (as of press time) about the company and its new owners. FCC Acting Chairwoman Mignon Clyburn has named Media Bureau Deputy Chief Bob Ratcliffe as Acting Chief of the Enforcement Bureau, temporarily replacing Michelle Ellison, who was tapped by Clyburn to be her Chief of Staff until FCC Chairman-designate Tom Wheeler is confirmed by the Senate. Ratcliffe served as Deputy Chief of the Enforcement Bureau between 2006 and 2009. Senate hearings were planned for June on Wheeler's nomination. "Newsline" reports that House Communications and Technology Subcommittee Chairman Greg Walden (R-OR), W7EQI, says he has some reservations about Wheeler based on his time as a telecom industry lobbyist. However, only the Senate gets to vote on confirming presidential nominees. A thriller due for release in August stars Harrison Ford (among others) as a technology billionaire who is also a ham radio operator. 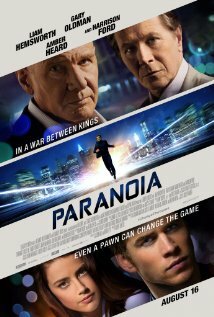 Amateur radio plays a small role in the film, titled "Paranoia." It is about efforts by Harrison's character and a rival businessman played by Gary Oldman to destroy each other, and the story centers on a young tech genius (played by Liam Hemsworth) who gets caught in the middle of their battle. The film debuts on August 16. The official trailer may be found online at < http://bit.ly/15NsSLM>. 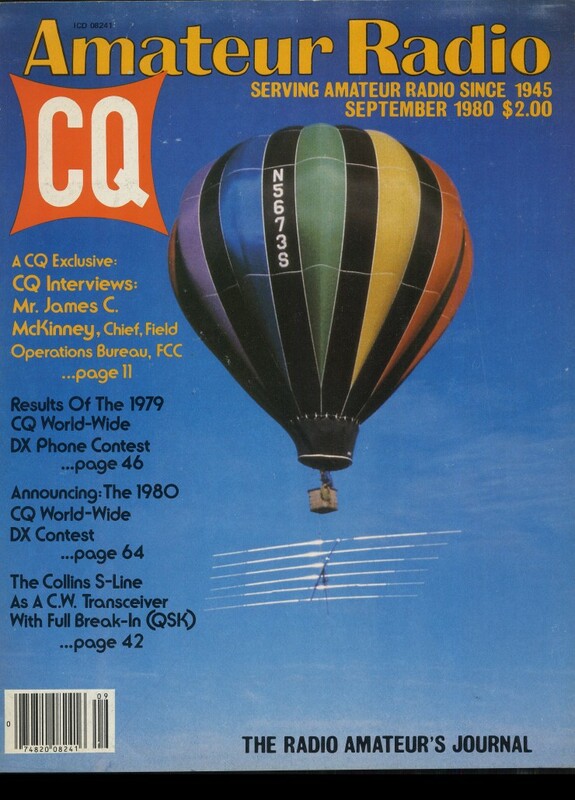 Stay tuned for an article on the ham radio part of the story by Bob Schenck, N2OO, in the September issue of CQ. There have been several staff changes of note at ARRL headquarters. Contest Branch Manager Sean Kutzko, KX9X, has been named Media and Public Relations Manager, following the retirement of Allen Pitts, W1AGP. Mike DeChristopher, N1TA, takes over as Contest Branch Manager. According to "Newsline," DeChristopher has been on the League staff for about a year, working in the awards branch. He is an active contester. Separately, Rick Lindquist, WW1ME (formerly N1RL), is once again editor of the ARRL Letter. He replaces Khrystyne Keane, K1SFA, who resigned. In the course of that transition, publication of the ARRL Letter was suspended for two weeks in June. The ARRL's online QSO confirmation system, Logbook of the World, logged its 500-millionth QSO upload on May 21. The system has been online for nearly ten years and has over 50,000 registered users, according to the ARRL Letter. Last month, we reported that a new version of Logbook's "Trusted QSL" software (v. 1.l4) had been released. Just after we went to press, we were informed that several bugs had been found in the program, requiring a delay in its release. Version 1.14.1 corrects those problems and is now available for downloading. The FCC has set September 3 as the comment deadline for its Notice of Inquiry regarding possible changes in RF exposure rules, including the elimination of some current exemptions for amateurs. See ET Dockets 13-84 and 03-137 on the FCC's Electronic Comment Filing System (ECFS) website at <http://apps.fcc.gov/ecfs//>. The cost of requesting or renewing a vanity call sign is likely to go up by 20 cents when the new federal fiscal year begins on September 1. In a Notice of Proposed Rule Making issued in May, the Commission proposed raising the current $15 fee for a ten-year license term to $15.20. The FCC has ordered a Nebraska-based online retailer to stop advertising, marketing and selling modified CB sets and non-certified RF amplifiers for the 12- and 10-meter amateur bands. The ARRL Letter says ePowerAmps of Omaha was given 30 days to confirm compliance with the order or face possible fines or equipment seizure. ARRL: FCC's Proposal for 5 GHz Band is "Premature"
The ARRL says the FCC is acting too hastily in proposing to include 5.85-5.925 GHz in new bands available for high-speed wireless devices (the so-called Unlicensed National Information Infrastructure, or U-NII). Amateur radio has a secondary allocation from 5.65-5.925 GHz. According to the League's filing, Congress ordered the FCC in 2012 to authorize U-NII use from 5.35-5.47 GHz, but was under no obligation to include the additional band segment in its proceeding, ET Docket 13-49. The ARRL's comments called that portion of the FCC's proposal "premature," noting that amateurs have already had to deal with an "overlay" of Dedicated Short Range Communications systems used by vehicles and that time is needed for compatibility analysis before adding U-NII use to the mix. Wilse Morgan, WX7P (ex-KL7CQ), passed away on June 13 at age 82. Morgan was one of the pioneers of the volunteer examining system and presided over the first-ever VE session back in 1984. The ARRL Letter reported that Morgan had been suffering from cancer. 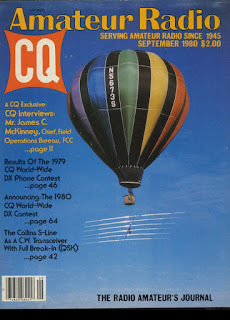 He was also a noted DXer, contester and antenna designer, who twice appeared on the cover of CQ, in 1980 when he used a hot air balloon to install a large antenna, and again in 1984 when he used a helicopter to install yet another big beam. Morgan was inducted into the CQ Amateur Radio Hall of Fame in 2009. The first victim of John Zawahri's June 7 shooting rampage in the Los Angeles suburb of Santa Monica was the shooter's father, Samir Zawahri, who was N6KXL, according to "Newsline." The younger Zawahri reportedly also killed his brother, Christopher, before carjacking his way to Santa Monica College, where he shot to death four more people before either killing himself or being killed by police. According to various news reports, John Zawahri was distraught over his parents' bitter divorce and had previously had mental health problems. Police still do not know his motive for the shooting spree at the college. The Dayton Amateur Radio Association reports that attendance at this year's Dayton Hamvention® was 24,542, an increase of 59 from last year's official numbers. "Newsline" notes that this still represents a significant increase from 2007, when fewer than 20,000 people attended the show, but still is nowhere near the show's peak attendance of some 35,000 back in 1994. We reported in the June issue on the reappearance of over-the-horizon radar (dubbed a "woodpecker" back in the '80s due to its rat-a-tat sound) on the amateur bands. Now it seems that their numbers are increasing. 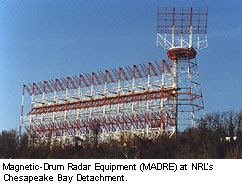 The International Amateur Radio Union's Region 1 (Europe and Africa) Monitoring System is reporting the appearance of an OTH radar signal on 20 meters that appears to be originating from England, one of nearly a dozen such signals that have recently been heard on 20, as well as 30 more on 10 meters and 65 OTH radar systems on the 15-meter band. The full report is available online at <tinyurl.com/hamband-intruder-alert>. Nikola Tesla's Wardenclyffe laboratory on New York's Long Island has been saved from possible demolition, thanks primarily to "crowdfunding" organized by cartoonist Matthew Inman. According to "Newsline," Inman's fundraising efforts generated nearly $1.4 million in donations, and the non-profit Tesla Science Center organization negotiated the purchase price down from $1.6 million to $850,000. The balance of the money raised will go toward cleanup (there's a lot of asbestos on the site) and beginning renovations needed to turn the long-derelict laboratory building into an interactive museum and science center. CQ published an article on the lab and efforts to save it in February, 2012 ("TeslaGRAM: A Multinational Special Event for a Nearly-Forgotten Laboratory"). The next international World Radiocommunication Conference (WRC) won't be held until 2015, but the Administrative Council of the International Amateur Radio Union (IARU) is already beginning to get ready, issuing a paper outlining the several agenda items that might affect amateur radio. Among them, according to "Newsline," are several proposals for increasing frequency allocations for mobile and satellite services which might eat away at some amateur allocations, as well as a proposal to give amateur radio a new secondary allocation worldwide between 5.25 and 5.45 MHz. This is the 60-meter band, already authorized for secondary amateur use in several countries, including the United States. But these allocations have been made by each country and the proposed agenda item would include amateur radio as a permitted use worldwide. 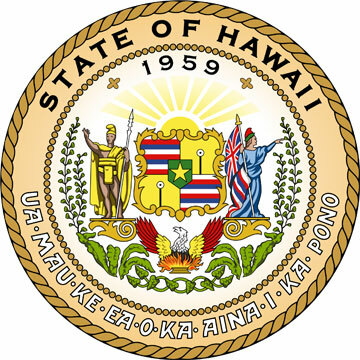 Mobile amateur radio operations are specifically exempted from a strict new cellphone law that was signed in May by Hawaiian Governor Neal Abercrombie. The new law, which took effect July 1, bans the use of mobile electronics while driving, specifically including texting, e-mailing, instant-messaging and gaming, according to a report by "Newsline." Hands-free devices are still permitted. However, local hams were able to secure an exemption for mobile amateur radio operation. 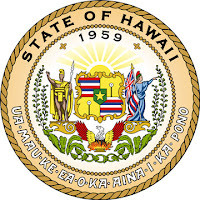 For more details, see <http://tinyurl.com/hawaii-cell-law-signed>. Several hams who completed the new Heathkit company's online survey report receiving e-mails today informing them that they are now "Heathkit Insiders." No indication of what that means and when or whether the company's new owners will appear publicly to identify themselves and lay out their plans for the company. 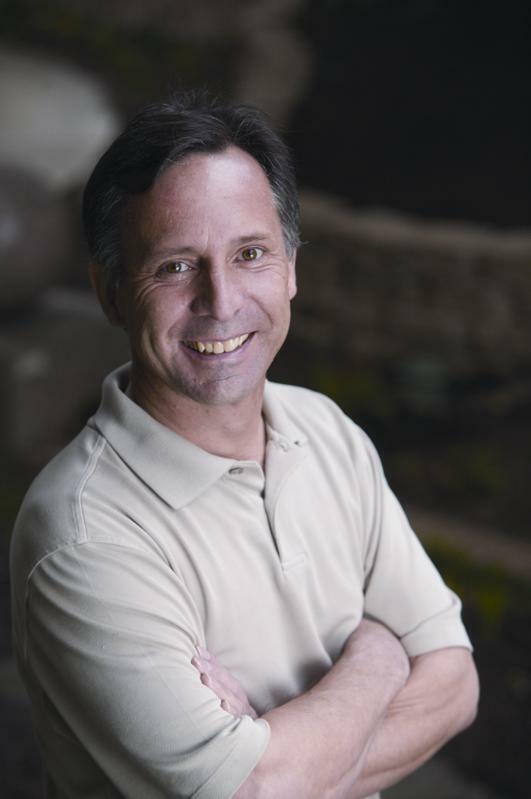 Tornado researcher Tim Samaras, who was killed May 31 by a tornado outside El Reno, Oklahoma, was an Extra Class amateur holding the call sign WJ0G. According to news reports, the twister he was tracking along with his son, Paul, and partner, Carl Young, suddenly changed course and headed directly for them. All three were killed. According to reports on The Weather Channel, Tim was a self-trained engineer who designed and built virtually all of his weather monitoring equipment. He is credited with developing unique tools to measure barometric pressure at the base of a tornado. It was unclear as this was written whether either Paul Samaras or Carl Young were licensed amateurs. The same tornado surprised Weather Channel meteorologist Mike Bettes and his crew - three of whom are hams. The car in which Bettes was traveling was picked up by the storm and sent tumbling hundreds of feet off the road. The one crew member injured seriously enough to require hospitalization was Austin Anderson, N5YNE, of Austin, Texas. Satellite truck engineer Cleve Massey, W5CEM, and RF Engineer Kevin Parrish, N6LUI, were not injured. Massey noted that "driving a 12,000-pound, low-to-the-ground satellite truck has its advantages," although the truck did sustain considerable damage from the storm.